The belltower atop the King's Bastion would once ring clear throughout the town of Louisbourg in Cape Breton, Nova Scotia to warn the people of an attack. People at the King's Bastion were the first to know of any danger and could easily get the word out once the belltower was rung. Belltowers were also used to warn of a fire or any special events, but the ones which remain throughout the world today, are usually on display to show off their historic value. Bell tower of the King's Bastion at the Fortress of Louisbourg, Louisbourg National Historic Site, Highway 22, Fleur de lis Trail, Marconi Trail, Cape Breton, Nova Scotia, Canada. 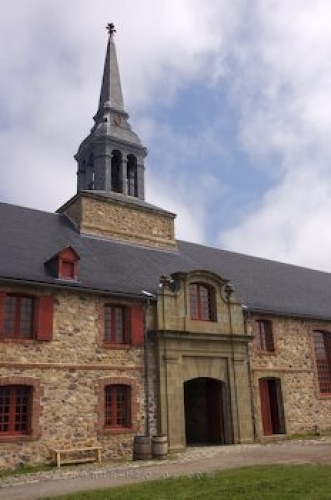 Picture of the belltower adorning the King's Bastion at the Fortress of Louisbourg in Nova Scotia.